Swedish indie electronica band Lovers, are currently flying way under the radar. Go ahead google them, oh… here they are the female vocal folk band from Portland…. Wait I just said Sweden didn’t I? Yeah, its a classic case of band name copyright infringement and right now the band from Portland is kicking their Swedish namesakes counterparts butts in terms of internet identity. Even Spotify and iTunes are currently bundling the bands together as though they have made some sort of dramatic genre, personnel, instrumental, and geographical change between albums. Although I am sure the ‘femme fatale’ band from Portland is talented in their own right, this is a review about the group from Sweden, and their new album Addicted to Drugs (vvvww label). There is actually quite little to say about this album, you really just have to let the music speak for itself. 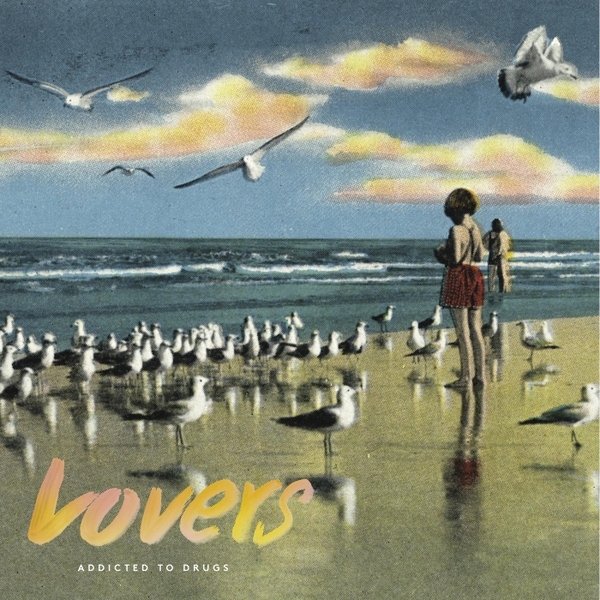 Lovers are a band that takes no time in getting to the point, and yet take all the time in the world describing whatever that point might be. Addicted to Drugs is a curious blend of overly simplified droning electronic synth and complex moments of wandering vocals. Listening to the album you get the sense that the band is really just experimenting on each track and that most of the album was written and recorded in just one take. There are moments where you become suspicious that the band is making fun of you and others where you feel as though they might be empathizing with your boredom on a lazy Sunday afternoon. Addicted to Drugs would feel comfortable played right alongside the likes of bands College or Washed Out, and feel reminiscent of the electronic heavy soundtrack for the Ryan Gosling movie Drive. To really get a sense of what the band is striving for listen to their first single (which has a surreal comedic video) “Luxury”, however to hear what the band is capable of, listen to the track “Addicted to Love”. Overall a very intriguing album and one that I imagine should help the band gain a little recognition on the webernets.